A range of environmental and agrotourism & eco retreats that combine natural living with tourist accommodation. A range of standards and infrastructure. 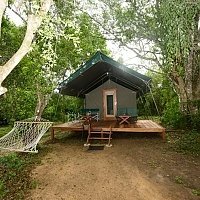 Usually set in rural surroundings with wildlife safari excursions nearby. 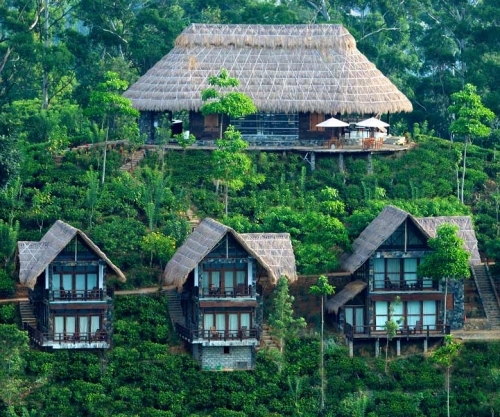 Some offer yoga and ayurvedic facilities whilst other allow guests to join the local community in their organic farming. 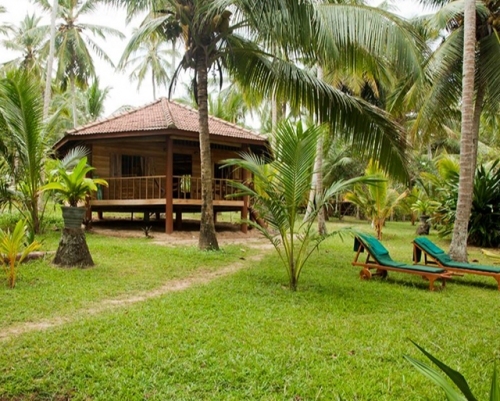 Perfect combination of jungle, beach and air-conditioned luxury chalets. Wide range of dining opportunities and good centre for local interests and animal safaris. 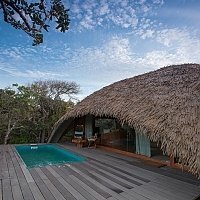 Set amongst rocks (Galapita means "on rock"), natural pools and waterfalls this small eco-retreat in central Sri Lanka is a paradise for solo travellers or families looking for adventure. One desert island, one hut, a few visiting dolphins and a lifetime's surfing and beach. 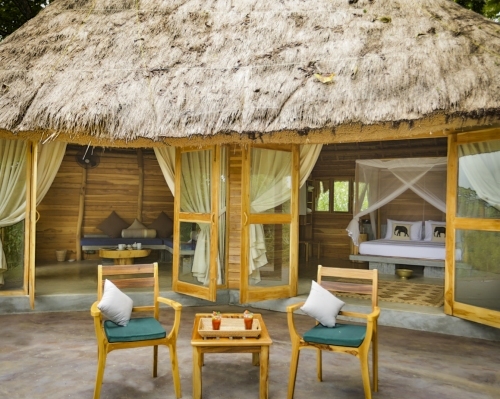 Tailor made "boutique" safari, guided by professional naturalists. Luxurious tented facillities with exclusive position deep in the National Parks. Tree house eco-lodges appealing to closet Tarzans. Exciting 3 day adventure package beckoning "twitchers"� and white water rafting enthusiasts. If there is such a thing as 'boutique eco', then here it is.